Question: How can a church survive amid the rapidly changing world around us? Answer: Do what surviving churches have always done. I can just imagine that anyone reading this will have their eyebrows “high-fiving” at this point. What do you mean do what surviving churches have always done? Isn’t the definition of insanity doing the same thing but expecting different results? The church needs to do what the church is supposed to do. It is what we should always be doing. In simple terms it is the making and training of disciples who make and train disciples. These disciples are followers of Jesus who seek to see others become followers of Jesus. The basis for this comes from many places in the Bible, not the least of which Matthew 28:18-20. 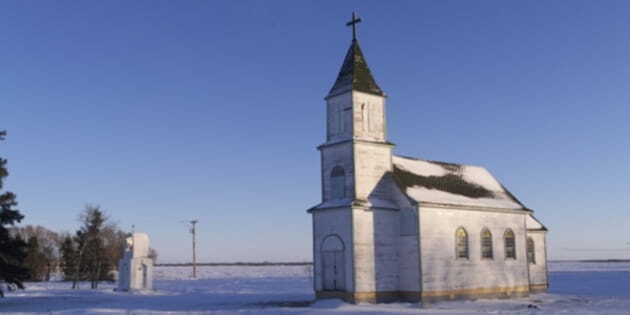 In the face of increased secularization, decreasing biblical literacy, and declining church attendance I am arguing for not trying to reinvent the church. Instead, we are to trust the owner of the church. Jesus is all-knowing and all-powerful. I trust he can navigate the church through the choppy waters of the 21st century. We are still here and this is not the first generation that has presented a challenge to biblical Christianity. But many have struggled in the last several decades. Instead of looking at the Bible to see what we are to do and how we are to faithfully do it in our current context, we have tended to try to come up with new, creative plans to make the church more suitable for people around us. Churches have wrestled with their declining attendance by trying to be innovative. Churches have evaluated their music, should we be contemporary vs. traditional? They have looked at trying to be more sensitive to the seeker through certain intentional actions to make the non-churched comfortable. They have adopted popular business techniques to promote “church growth.” They have built ministry silos for every age group and demographic so that there would be “something for everyone.” They have catered to the young, the cultured, the influential, and the powerful in effort to impact culture. On and on the list could go. Some of these things aren’t bad in and of themselves, but they overlook the fact that Jesus provided the way for the church to stay relevant, engaged, and active in an ever-changing world. Jesus wants his church to make and train disciples who make and train disciples. 1. Reorient the Church around the Great Priority. Jesus gave the command that ought to characterize everything the church does. This is her mission. Everything the church does is to promote people coming to know Christ and grow in him. As a result, the church must be intentionally involved in evangelism. This involves the church at large and the individuals within the church. The mood of the church needs to be evangelistic. The church also must be a training church. People need to grow in their understanding and application of biblical truth. This comes in many shapes and sizes from preaching to classes to community (fellowship); but it must be there. The church must be a praying church. Specifically I am speaking of prayer for gospel advancement. Consider Paul in prison praying for help with prayer for missions (Col. 4:2-4) You can check your church’s Great Commission priority by asking a couple of questions: 1) Do we have prayer meetings or do our people pray? 2) Do we pray for gospel advancement? 2. Reorient the Church around the Missionary Identity. If you were to move to foreign country you would take some time to think, pray, and observe the people around you. You would watch them and look for gospel opportunities. This is just what missionaries do. They do this because they know who they are. Their whole identity is oriented about being a missionary of the gospel of Christ. It is no different for us. In order to progress through the tidal wave of secularization and biblical indifference we must be thinking and acting like missionaries. You may have not realized it, but when you “signed up” to be a Christian you signed up for missions. It’s part of the deal. When gospel-centrality gets hold of a church there are ripples. People get converted. Marriages get restored and strengthened. Homes become lights of hospitality and care. Churches become hubs of service and love. This is the impact of the gospel moving ahead. It is the evidence of gospel renewal in our lives and the lives around us. So, Christian, don’t fret about what you are to do amid the changing world as if you don’t have a playbook. It is clear, tested, and it works. We just need to do what surviving churches have always done! Erik Raymond is pastor at Emmaus Bible Church in Omaha, Nebraska. He and his wife, Christie, have six children. You can follow Erik on Twitter @erikraymond and read his blog at OrdinaryPastor.com.